Morris Animal Inn is committed to enhancing the relationship between pet parents and their dogs. We believe that good leadership is at the core of good canine behavior. When a dog willingly offers obedience commands this means that behavior has truly been learned. Positive reward-based training is proven to produce happy dogs who are willing to work; an essential component for success in teaching new behaviors! At Morris Animal Inn, we believe that the dog and their committed pet parent, working in harmony, will enjoy an amazing relationship that having a well-behaved dog brings. Please call (973) 539-0377 for more information regarding our Dog Training Packages. Morris Animal Inn in Morristown, New Jersey, recognizes that the bond between an owner and their dog is a very special one. Our dog training program is designed to enhance that relationship and help your dog to be the best that he or she can be! In addition to your dog spending time with one of our trainers you will be provided with detailed instructions for reinforcement at home. We realize with today’s busy schedules sometimes you need a little help to get it started or to keep your dog on the right track. We hope to make that as easy as possible. 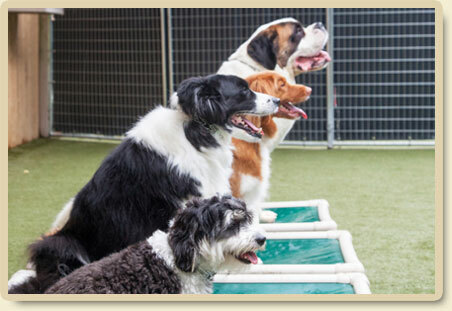 Playcare™ Academy – If you have a high energy canine, Morris Animal Inn’s Playcare™ Academy could be the daycare option you’ve been looking for. For your convenience, we have combined three interactive activities into one package! Fun, learning, exercise and socialization throughout the day with Manners Training, Agility Fun & Games along with Group or Individual Play. Manners Packages— while your dog is boarding, our staff will reinforce basic manners with repetition and lots of positive reinforcement. Daily lessons may include a variety of learned behaviors including sit, come, attention work, impulse control, leash manners and more. The more often your pet participates in our Manners program, the further advanced they will become. Canine Training Camp— Our professionally trained staff will teach and reinforce basic obedience training during our 14 day overnight camp. 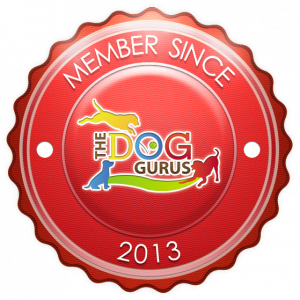 Individualized lesson plans may include recall, sit, down, off, no jumping, no pulling and much more based on each dog’s progress and abilities. Our programs are reward-based with lots of positive reinforcement and repetition. We will properly fit your dog with appropriate equipment and provide instructional information so that you may continue to reinforce at home. Canine Training Camp offers a customized combination of training, exercise, relaxation and quality care. Two of my dogs recently stayed at Morris (Animal Inn) for 5 days. One of them had training while there and I have to report I got a better dog back then the one I dropped off. The training has made a HUGE difference! This was his first time there, but my other dogs have stayed before and each time they have had a blast. They want to be there when I drop them off and are plenty exhausted when I pick them up. The Inn is beautiful and clean and the staff are great. It is worth the money for me because I want them safe and well cared for.